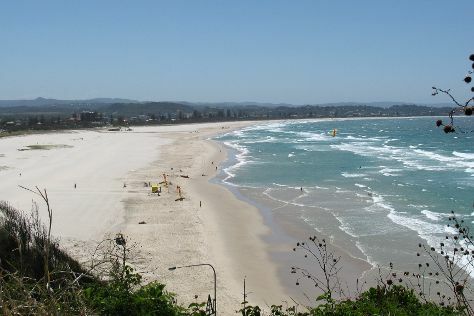 Relax by the water at Kirra Beach and Kings Beach. Explore hidden gems such as Tweed Regional Gallery & Margaret Olley Art Centre and Burleigh Head National Park. Venture out of the city with trips to Scuba & Snorkeling (in Mooloolaba), Anthea Polson Art (in Main Beach) and Caloundra Lighthouses (in Kings Beach). There's still lots to do: steep yourself in history at Boggo Road Gaol (Jail), visit a coastal fixture at Fingal Head Lighthouse, appreciate the history behind Captain Cook Memorial and Lighthouse, and trek along Mary Cairncross Scenic Reserve. To see maps, where to stay, reviews, and other tourist information, you can read our Brisbane journey planner . In July, daily temperatures in Brisbane can reach 24°C, while at night they dip to 11°C. Finish up your sightseeing early on the 13th (Sat) so you can travel back home.